Bulls captain Victor Matfield has revealed he will speak to referee Stuart Dickinson before his side's Super 14 semi-final about illegal scrummaging tactics he expects the Crusaders to employ on Saturday. The Bulls have been forced to host the Crusaders in Suweto rather than at their Loftus Versfeld fortress because of disruptions from the football World Cup, but Matfield has sought to earn the Bulls a pre-match advantage of their own by turning the spotlight onto the Crusaders scrum. "They're a great scrummaging unit, but we've observed that they target the tighthead side of the scrum through illegal means," Matfield told keo.co.za. Matfield acknowledged the Crusaders had one of the strongest scrums in the tournament, but felt that in the Bulls' match against the New Zealanders a fortnight ago, as well as in the Crusaders' game against the Brumbies last weekend, that they had gained the upperhand illegally. "We'll ask the referee to watch out for that. It's a small thing but could make a big difference in a semi-final. I'm sure (Crusaders captain) Richie McCaw will raise some points of concern. It's not a witch hunt, we just want to make sure the playing fields are level." Matfield, a lineout maestro and Springboks hardman, said his forwards would have to brace themselves in other areas where he felt the Crusaders excelled in their previous meeting on May 8 in Pretoria when the Bulls escaped with a 40-35 win thanks only to a highly contentious late try. He praised the Crusaders' lineout and maul defence, noting that they had disrupted usually solid facets of the Bulls' game at Loftus Versfeld. 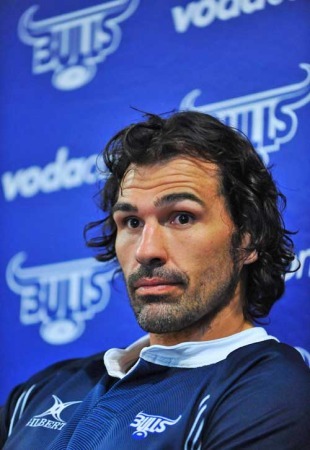 "They stole a number of our balls the last time we played and we'll have to improve there," Matfield said. "Furthermore, they are the one team we struggled to get our rolling maul going against. It's been a big weapon for us, so we'll have to find ways of circumventing their strength in defending it." Matfield defended the Bulls' decision to rest the vast bulk of their top starting XV in last week's 38-10 loss to the Stormers, in what was a dead-rubber for the table-topping Bulls but not for their South African rivals. He said the fruits of that decision were evident in training this week. "I've seldom seen individuals in the squad as focused and intense as I have in our sessions this week. The guys are physically and mentally fresh and I feel that is a direct result of them having had a week off. I know there have been questions about how the break would affect our momentum, but we don't share those concerns. We've prepared well and we'll be up for the massive challenge."